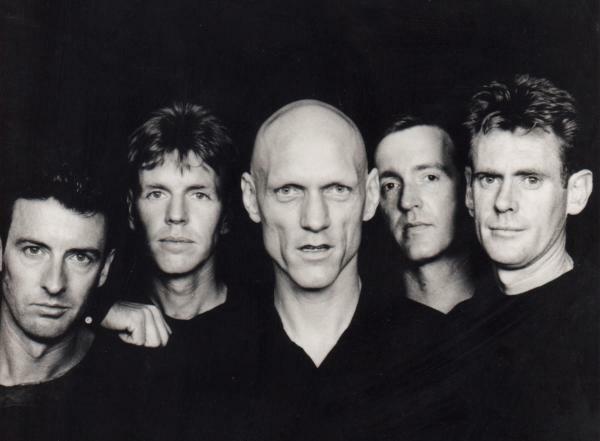 Peter Garrett gave GARY STEEL a piece of his voluminous mind as the revived Midnight Oil prepared for the world tour that brings the group to NZ for two dates this weekend. 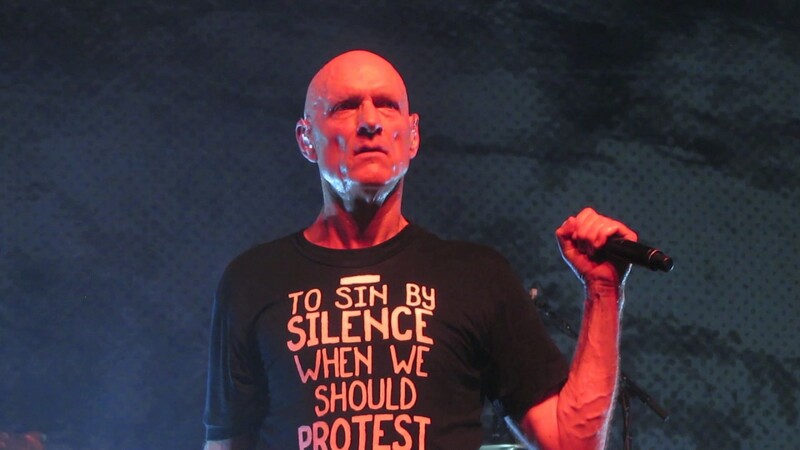 Peter Garrett – How are you mate? Gary – I’m good. The cicadas are screeching so loudly that I can’t hear my own tinnitus. Peter – Ha-ha-ha! Well actually, that’s something we need to have over here so I can’t hear mine. Gary – Do you have tinnitus? Gary – I imagine by now that you’re fairly well into rehearsals for the tour? Peter – We’ve been going for about three and a half weeks. We did a little bit of playing before Christmas just to see whether it was going to fly or not, and what it sounded like and… it was all kind of fresher and fuller and… it had everything it needed to have for it to be a Midnight Oil sound so… That was a really amazing time for us because no one else knew what we were doing. We were just sitting in a room saying ‘well, do these songs still work for us as musicians? Can we play them?’ And we figured out pretty quickly that the answer to that was ‘yes’, then we came back in after Christmas, and we’ve got about 170 songs that we’re now just running down, trying to get our heads around. Gary – It’s quite an extensive catalogue, isn’t it? A lot of people think of Midnight Oil as being mid-‘80s through ‘90s but you’ve been around since the ‘70s and have this huge catalogue. Peter – That’s right. I think that we were surprised by it, you know? Gary – Are you doing the rehearsals that new-fangled way where you don’t have amps or anything, and all through your in-ear headphones? Peter – Ah, a bit of both, actually. We’ve done it two ways. We’ve done it playing softly, really softly, just with little 30 watt amps and acoustic guitars, and just singing and playing through the songs and in a sense just falling in love with them and getting to understand their contours a little bit. It’s been great actually. I think you’ve got to do that as a musician, I think otherwise you’re just going to… If you came at it like you’re just doing a concert rehearsal, then you just start thinking about the concert, you wouldn’t think about the song, the notes, the words. And then after that we’ve gone and played a bit louder so-to-speak but again without in-ears, but just for me, where we can just generate the kind of excitement and the activity and get the rise and the falls sorted out. Gary – You’re not planning to do an Unplugged section in the set, are you? Peter – Well I won’t give it away. But no, not in as many words, but we will have some variation in the way we’re representing the material. 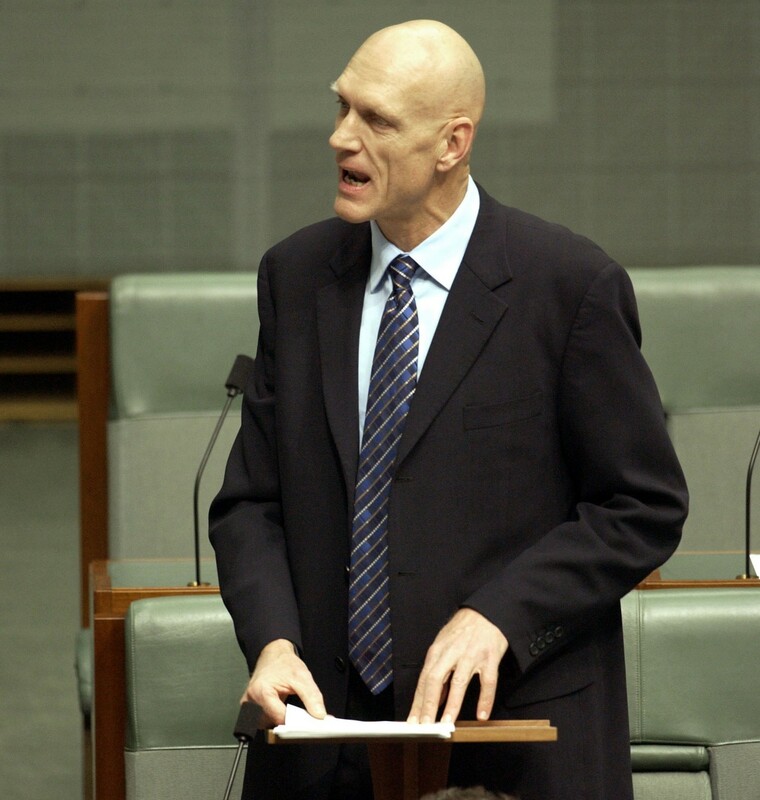 Gary – I know it’s a cliché and a song title but when I think about Midnight Oil I think about power and passion and muscle and sinew and… and I was wondering as slightly older blokes now, how you’re approaching that. Peter – [Laughs] But everybody’s been playing, and everybody’s attacking it you know, with a lot of relish. Now of course we’re not 21 anymore, we all know that, but there’s something that happens when we play… I almost don’t feel like talking about it that much because I realise now in retrospect that it’s kind of like a special alchemy. But generally the music provides the energy and power and there’s a cross current thing that happens and away you go. Gary – Because it’s quite an undertaking, this tour, it’s quite massive. Peter –You’ve got to think a little bit about the way you approach your life. You want the performance to be as good as it can be, but not even in the way of it being a performance under lights. I think especially for this band, I think it’s much more about whether we find the sweet spot onstage it’s going to work for us, and in that way we’ll be sort of pushing and encouraging and corralling one another and finding places where it falls into the imaginative point of the piece of music we’ve created. And then in a way you turn around and say ‘this is where we are tonight, this is what we’re doing’, as opposed to some bands you see who walk out and say ‘this is our best known song and we’re just about to play it note for note and we’ll all stand in the same place and the lights will go on and the whole thing’s got a bit of a fixed ritualistic thing to it.’ Now, I know there’s going to be a lot of ritual when we play, no question about that, but I’m going to try and make it as turbulent as possible. Turbulent ritual. Gary – That’s a great title actually. Gary – It’s an interesting one because everybody changes and your perspective on your old songs must change with time as well and how you go about presenting those. Do you find that you want to present them in a different way to… I guess what I’m trying to say is are you finding different strengths in the songs, or finding different accents? Peter – Absolutely, and that’s a really good question. I think you’ve got to really, or you’ve got to go looking, and see if you do, and in most cases, maybe not all, we’ve found things we want to bring out or we’ve discovered songs that we’ve hardly ever played that we want to play, and you’ve got to… the song’s got to be given its space and its room to move and its air, and you’ve got to land on the right rhythm points and let the song be the determiner in many ways. Particularly, a lot of our songs are co-writes, and there’s quite a lot going on in them. As you probably know I did my own – by mistake really – when I came out of politics and finished my memoir. And I saw these songs I did as simple folk songs, which is pretty much what they were, but I made them electric. 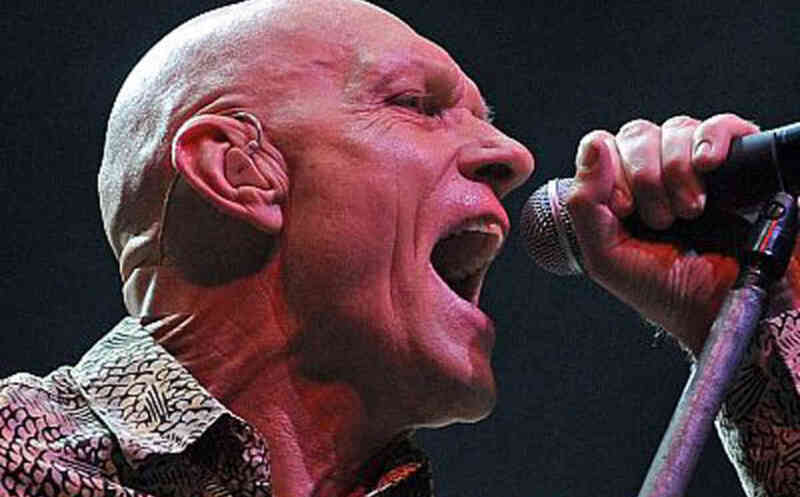 But Midnight Oil songs are a different thing altogether. Some of them are just crazy, like what were we thinking? Gary – It’s actually a diverse catalogue, and like I said, you think about the power and the muscle behind the music, because that’s the image, but there’s a lot of different material and songs on the albums and some quite subtle stuff. 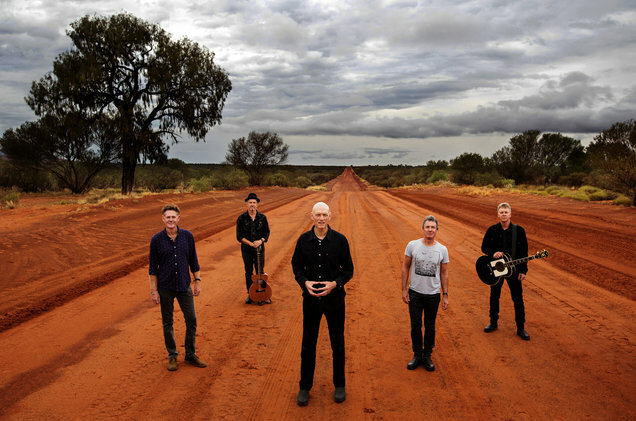 Peter – I’m glad you feel that way because I think that’s right, and it’s inevitable that in the fast moving world we live and the way we’ve presented ourselves that people have tended to see a certain kind of Midnight Oil song, what they’ve heard on radio or whatever. But there’s always been other sides to the band, and Jim has always had… he’s usually got a couple in his back pocket that are quite reflective, and sometimes a bit moodier and broodier, there’s work that we’ve done where we’ve just tried to think texturally about music, which I don’t think anyone’s picked up on, but to me is pretty important. And I was toying around with rap motifs from a really early point. I didn’t know what I was doing, but you go back and think ‘it’s words from top to bottom.’ And I think it’s also because we’ve got a lot of songwriters in one band and you tend to have more ideas. I remember an early producer say ‘I think I’ve figured out how we’re going to make this record’ and we all thought ‘that’s great’. And we said ‘what’s the secret?’ and he said ‘we’re going to throw out 90 per cent of the music’. And we all went ‘WHAT?’ But it was his way of saying it’s great to have lots of ideas and we’re always interested in ideas as musicians, we’re not interested in mimicking one of our heroes or… mimicking a sound or to be blunter about it we’re not interested, I don’t think, in trying to evoke a mood to make people sensitive to what we’re doing. Whether the mood is melancholy or whatever it might be. I think there’s something else that happens with the band that’s more about getting fairly clearly minded strong willed individuals – musically at least – to figure out where they all fit in this thing you’ve got in front of you that you’re wrestling with. Gary – In New Zealand the band is thought of very affectionately. Where not a lot of Australian bands are, really. Do you remember much about your main tour here in 1990 and the subsequent festival you played at? Peter – Yeah, I do. I think that the experiences that we had when we first played really out of that pub rock explosion of Sydney in the late ‘70s and early ‘80s… Like when we first came across we did quite an extensive tour, North and South Island, meant that we weren’t just like swanning in and leaving. I mean we played the Gluepot, which I remember very well. We played down in Napier and New Plymouth, we did lots and lots of shows, and because we were there for quite some time, and it’s quite a small country compared to Australia, we got to know it quite well and we liked it, and when we came back to play, when we toured, eventually a Kiwi joined the band. Bones Hillman’s our bass player, you know. I did a tour with the Topp Twins, I can’t remember exactly when it was. An anti-nuclear tour. In government I found we were working really closely together on the Japanese so-called scientific whaling offensive. Gary – Has your experience in politics changed the way you think about the Oils and the role of music… the role the band has with its music? You’re kind of unique in that you’ve never been a band that just sings about love and lust, you know? Peter – No. Uh, that’s true. But the answer to your question, I think Gary is that it hasn’t changed my attitudes. But leaving that stuff aside at the same time I’ve loved watching what musicians and artists have been doing, and when we reconvened which we inevitably always were going to do, whatever that atmosphere, whatever it was, it would be incredible to get up and make it work again. But I’m not an absolutist about these things. I think we can fall into… it’s easy to fall into what I call a sloppy way of binary thinking. Which is, just because we’re disappointed with some politicians, all politics is bad. And the only way you can create change is to do something in this way, whereas change happens in many manifold different ways, through individuals and communities, people pushing governments to do things better, sometimes formal politics gets it wrong, sometimes it gets it right. I’m not someone who thinks that there’s absolutes to sit in this space at all. So I’m really, it’s a bit of a convoluted answer I’m sorry, but I’m really clear about the fact that whatever you take as a person, whatever your motivations are, you take into… you have a crack, you do the best that you can within that setting, with the goals and the values that you set yourself, and history’s not a victory march, you know, it’s often one step forward two steps back, but you’re there. By the same token I’m a very strong believer in people being active outside of formal politics, and I’ve gone back there. And at the same time, I’m absolutely delighted that I get the chance to sing and make music with my mates. Gary – It’s hard to look at the popular music scene now in the same way that I used to. There’s so many people singing with Autotune, and it all seems so geared towards teenagers, or tweenies. And I just wondered where do you think that you might fit into this new world, and can music still change the world? Peter – Well I’ve got no idea where we fit in, so that’s that response. We never really fitted in from the start. We were kind of punkish in attitude but we could play our instruments. We had a seven minute song on our first LP. We were a band that was resolutely against the music industry as we saw it, but we went into the belly of the beast to try and do the best we could with it. We were the inner city darlings who said bugger this, we’re going to play in the suburbs, to all these people in the suburbs. I think we’ve always been pretty single minded. We couldn’t go to London like some of our colleagues did and some Kiwi bands as well, and do the whole London thing, get all dreary and wear black and give interviews to the NME, you know, and pretend that we loved being in England. We hated the place! People who thought we were snotty colonialists, you know. We couldn’t wait to get out. On the music changing the world thing, again I’m slightly heretical about it. It’s a little bit like the money is the root of all evil confusion – it’s actually not money that’s the root of all evil, it’s the LOVE of money that’s the root of all evil, and I feel the same way about music changing the world. I don’t think music by itself can change the world, I think that people can change the world, but they need music as their partner in that journey. Gary – So it’s really just the fact that they’re listening to something that’s a bit more conscious, and can plant a few seeds. Peter – Yeah, and you know what, if they do something with it that’s great, and if they don’t, that’s also great. We’re not here to judge our audience. Gary – I was wondering about the reissues that are coming up. They sound pretty cool. I love the title of the rarities box, the Overflow Tank. When are those coming out? Peter – They’re about a couple of weeks away. I haven’t got the date on the top of my head. It’s been a fascinating exercise in lots of different ways. You said it yourself earlier, ‘Breeze’, wow, that was a bit moody and broody. ‘Wonderland’, gee, that’s pretty full on. Head Injuries, every song lasts for three minutes. It’s just fascinating to get back into it, and the fact that the material’s all been remastered properly. Some of it already had, but this will be the first time it’s all in the one place. Of course we do have some songs that literally no one’s heard that literally didn’t make the cut or were demos. So there’s new unreleased material on it as well, so it’s been an amazing exercise. And some of the live footage, some of the concert footage, especially the South African stuff and some of the stuff people haven’t seen… It is what it is, but it’s quite a rich one. Note: This interview took place in March 2017. 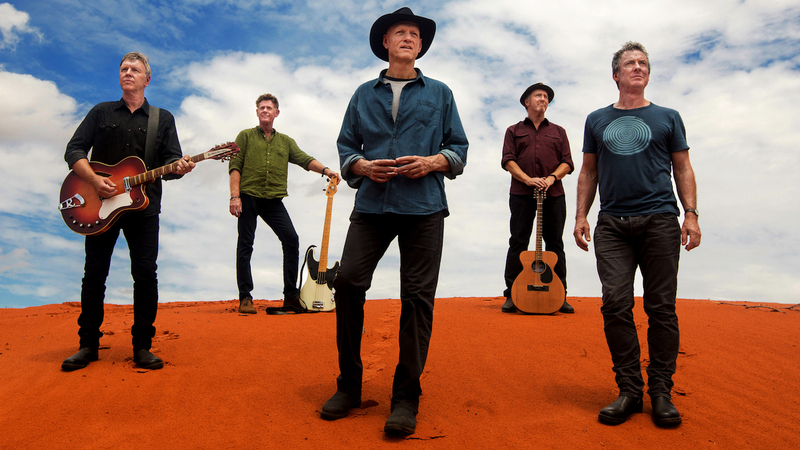 * Midnight Oil perform at Auckland’s Spark Arena on Saturday, September 9, and Christchurch’s Horncastle Arena on Monday, September 11. Yes Peter probably responsible for some of my tinnitus no doubt. St. James Theatre (Wgton) if I remember right c.1981 – a very hot night. Apart from very loud sound (we were up close), the thing I remember most is how much sweat he generated. They had to mop the stage with big curtains about every 15 mins.